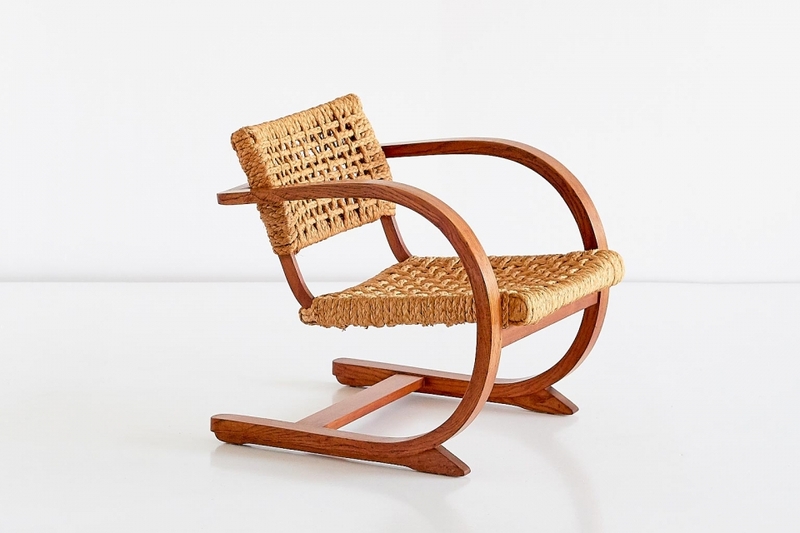 This rare armchair was designed by Bas Van Pelt and produced in the Netherlands, circa 1936. 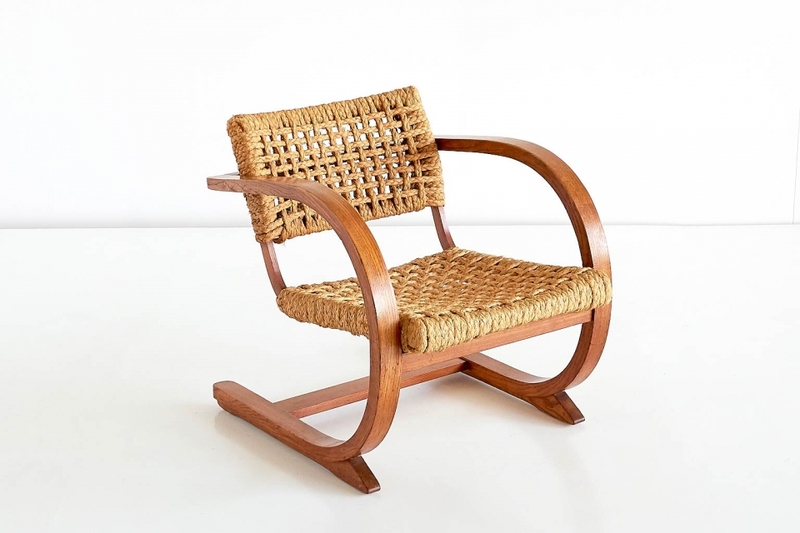 The striking curved frame is made of oak, the seat and backrest retain their original and very well preserved braided rope. The chair is surprisingly comfortable due to its solid and slightly tilted construction. The chair is part of the permanent collection of the Stedelijk museum in Amsterdam and has been well documented in the following literature: My Home / Bas van Pelt : binnenhuisarchitectuur 1931-1995. Petra Faber. Rotterdam, 010 Publishers, 1995 Furniture Collection Stedelijk Museum Amsterdam, 1850 - 2000 : from Michael Thonet to Marcel Wanders. Amsterdam, NAi Publishers, 2004 De Haagse Stijl: Art Deco in Nederland. Timo De Rijk. Uitgeverij 010, Rotterdam, 2004.